Tell us what you think. Write a review of this item and share your opinions with others. Please be sure to focus your comments on the product. Read our review guidelines for more information. 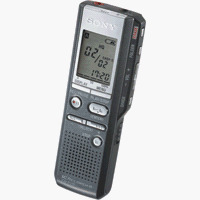 A previous reviewer said this recorder is "not good for transcribing" because it lacks pause and review functions. This is incorrect on both counts. During playback, the Stop button acts as a pause button. If you press Stop and then press Play again, it will continue playback from where you paused. To review a section without rewinding all the way to the beginning, hold down the Rewind button. As long as you hold it down, it will continue backing up, playing little pieces of the audio as it goes to help you find your place. Similarly, you can fast forward (cue) by holding down the FF button. Pages 25 and 26 of the manual describe these playback functions. The BEST voice recorder there is, but where's the remote? 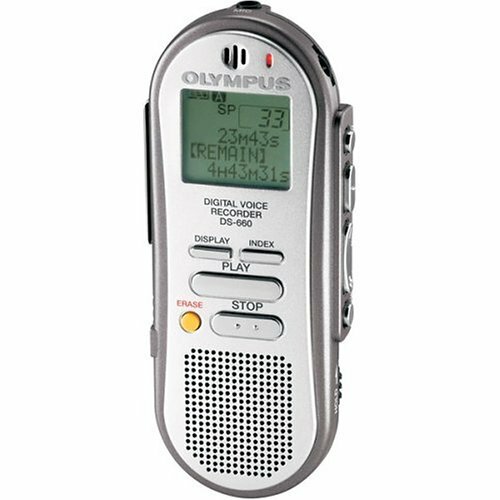 The Olympus DM-10 Digital Voice Recorder works like a charm, recorded lectures clearly with almost no static and minimum background sound. The only downside to this great recorder is its incredibly small memory, I mean come on Olympus, a 64 MG memory is obsolete in 2005. This recorder records 2hr of high quality sound, or 22hr of poor. I just record the HQ and transfer the file to my computer after each time I use it. I wish this devise had a way to upgrade memory. The software is cheap and of no use, if using XP, don't bother installing it, windows will recognize the driver automatically. 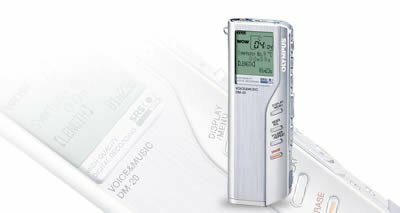 The dm-10 is also an mp3 player, though only 60min of music can be uploaded; it plays adequately wma and mp3s. In conclusion, great devise, unreasonably small memory. Yo dawgs, I'm a rapper. I am always kickin' sweet rhymes when I'm drivin home. Before I got this mic I was always feelin alone. No hand to write, no dictation. My rhymes are so phat, give me a donation! I'll make the rhymes stick, they be tight as glue. Word to my ladies, word to my homies. Ain't got no flow, go eat some bologna! Keep it on the downlow, this product is the bomb. If J-Zee finds out about it, it won't be long. they be practicing their flows durring Law and Order........SVU style dawgs! If you want to use a good external microphone (USUALLY STEREO) or record from external source using the micro jack as LINE IN, and don't want the automatic SHQ setting, just use a 3.5 stereo to mono adapter (both channels are merged) and VOILA, a lot of selectable good quality (HQ or SP) recording time. About the recorder. . . sorry for my other ones (SONY) but ever since I got the DM-20, only use it. The difference (quality of recordings) is awesome. Bye Sony, welcome Olympus. Ahhh. . .and as a Macintosh user... bye Sony, welcome Olympus (again). Tired and frustrated of trying unsuccessfuly to use Digital Voice Editor via Virtual PC. Thanks Olympus on behalf the rest of Us. I use the recorder in college to record lectures and classes, and I have been extremely satisfied with the quality and ability of the DM 20. I have classes in rooms as large as 40' x 20' and record on HQ mode. My Prof's range from the screamer to the mumbler and even at 30' the recorder picks up the mumbler clearly, (after I turn the noise reduction feature to high). I was going to buy the DM 10, but 8 hours of high quality recording won the day over the price difference. I would strongly recommend the DM series to everyone. The reason I didn't give five stars is simple: the batteries. Regular batteries last about a week for me; I use the recorder about five hours a day everyday. So it's new batteries every week or rechargeable batteries. I bought rechargeable batteries and a charger but that adds $35 to the price of the unit. If the DM cradle recharged the batteries, it would be a big plus and I would have given 5 stars. The battery problem is more a minor nuisance than a real annoyance. Overall, the recorder is amazing at picking up voices at distance and capturing it into a high quality recording. I'd buy it again in a heartbeat. "the coolest" way to get junk "on the market"
Don't make the same mistake I did! I signed up for one of those get-iRiver-free "offers" that are continually being posted here. coolest item out on the market! http://tiny2go.com/1w sign up here and complete the videoprofessor offer and you can get it at no cost...this is a must have item and you can get it legitly free here!! I've done extensive research in trying to find the perfect portable video player.From all the magazine reviews, sites like CNET and suchforth, customer reviews, and hands-on experience, I decided to purchase the MSI MEGA View 566.The MSI Mega View was one of TechTV's finalists for most innovative products at the Consumer Electronics Show (CES 2005).If the features of the iRiver PMP appeal to you, consider taking a look at MEGA View 566 (Check out the product page for more info).It has almost identical features at approximately the same price. Like the iRiver, the MEGA View 566 can play mp3, wma, wav, divx (avi), mpg, and your digital photos.It has a built-in FM tuner, voice recorder, an A/V Input and Output with composite video to record video from TV or other sources and so you can view files on your television set.You can rest the player on the tripod that is included.Unlike the iRiver, an extra battery is included for more playtime on those longer trips!Since playing with the unit a few weeks ago, I can't get enough! If you're still researching for the perfect player, take a minute and check out the MSI MEGA View 566. I was very excited to get this player as a holiday gift.I was looking forward to watching the TV shows I recorded using Windows Media Center edition on it.But this turns out to be impossible - the PMP-120 runs a Linux operating system and does NOT convert recorded TV files (*.dvr-ms) and moreover it won't sync with Windows Media Player 10, which would in fact convert such files. I spent five hours trying to set it up to watch TV and only learned this sorry fact through extensive Googling.Certainly I could not learn this from the embarassing manual or from the poor automated help service at iriver itself, nor from the 800 number (I spent 45 minutes on hold then gave up). Apparently the PMC-120 (PMC not PMP) is in fact Windows Media Player compatible, but at this point I'm not sure I'll trust another Iriver product, because their support is so poor. Stay far, far away from this! I had bought Creative PVP sometime back, but had to return it bcoz it uses Microsoft Media Player. Wrong media player choice. It makes the whole process of uploading media very tiresome and slow. So i returned the Creative.I checked iRiver at the store and found that it did NOT use Windows Media Player. SoI bought it. I have been playing with it over the past couple of weeks. It provides a DIVX codec software and associated media converter software, that makes importing videos easy. Use the Portable Media Center DIVX profile, when coverting videos.I use the AVI format to upload videos onto the player. 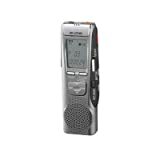 It is also a full featured mp3 player, voice recorder and a fm tuner. The speakers are little bit low in volume, so have to use headphones in noisy situations. The fit and finish of the hardware is not as nice as Creative. The software has some spelling mistakes such as "FM Tunner" instead of "FM Tuner". But at the end of day, it does what it is supposed to do. And it provides all the software and cables right out of the box.I am in process of creating a PC based DVR solution, to capture and record live TV. iRiver will then become my portable video system. iRiver can also send video signal's to TVs through a provided port and cables.Provides USB Master port capabilities to interact with other USB port capable devices, without using a PC. It comes with a nice hard case, that U can use to carry it around and to even prop it up while watching it on an airplane. Battery is removable type, so u can buy an extra one, if U are on a really long flight. PVP space is still evolving fast, so expect to see lots more new models coming out in next couple of months. If like me, u want one right away, iRiver is an reasonable choice. You will need some experience in media conversion to successfully import videos in a watchable format. Experiment with video sizing, audio mixing etc till u get it right.iRiver has also released another PVP that uses Windows Media Player. Do not buy that, unless you have a full featured Windows Media Center PC. 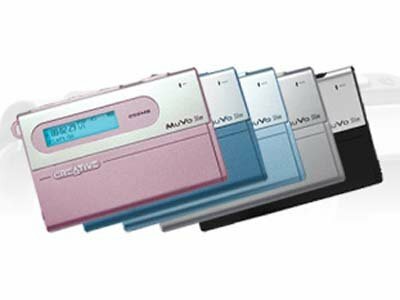 About the size of a credit card and just over 1.5 ounces, the silver Creative MuVo Slim digital audio player is compatible with both MP3 and WMA files and has a built-in FM radio and voice recorder. The 512 MB memory will store up to 16 hours of WMA files at 64 kbps or up to eight hours of MP3 music at 128 kbps. With super-fast USB 2.0 connectivity and simple drag-and-drop transfer without software, the MuVo Slim accepts music files as quickly as a song per second. With built-in support for Windows Media Player 9 Series, the MuVo Slim offers compatibility with a wide range of popular music services, including Best Buy MusicNow, Buy Music, Musicmatch, and Napster. The Muvo Slim features an FM radio with 32 presets, plus FM recording capabilities to record favorite radio shows or songs. With the built-in microphone, the MuVo Slim can record up to 32 hours of voice recording, from important meetings to reminders to yourself. You can customize playback with a five-band graphic equalizer with four equalization presets, as well as environmental settings for pop, rock, jazz, or classical. The removable battery is rechargeable via the player's USB connection, providing up to 17 hours of continuous playtime. The 132 x 32-pixel blue backlit LCD displays file information, and you can scroll through folders, playlists, or individual songs. This package includes the 512 MB MuVo Slim (silver) digital audio player, neodymium earphones, carrying case, and CD-ROM with Creative MediaSource music management software. MediaSource is an easy-to-use application for ripping CDs, organizing entire digital music collections, and easily transferring MP3 and WMA files. Choose your music. Choose your device. Know it's going to work. Look for the PlaysForSure logo if you're shopping for a portable music or video device and you want to make sure the digital music and video you purchase will play back on it every time. 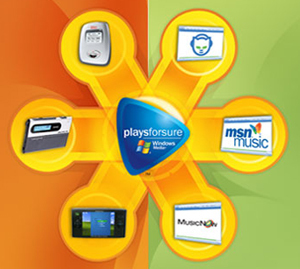 Match the PlaysForSure logo on a large selection of leading devices and online music stores. If you see the logo, you'll know your digital music will play for sure. The PlaysForSure logo makes it easy to find digital media stores and devices that work together. Choose from a large number of digital music and video stores, including CinemaNow, MSN Music, Musicmatch, MusicNow, Napster, Wal-Mart Music Downloads, and many more. Look for the PlaysForSure logo on a wide variety of devices, including portable music devices, portable video devices, digital audio receivers, Pocket PCs, and Smartphones. The checkmarks indicate if the device is capable of playing back audio and video that's been downloaded from an online store. Additionally, some devices can play back media that has been purchased through an online store that offers subscriptions or rentals. I bought an iPOD shuffle for 100 bucks, and I tried to convince myself afterwards that it was a good idea.I finally came to my senses and bought the muvo slim 512, selling the shuffle on ebay.I can't believe how much better this is.There is NOTHING to complain about.If you forced me to complain, maybe I'd just say that the headphones that it comes with aren't the best.I can't think of anything else.Definitely buy this if you're considering the Shuffle! Not Even one full song! I boght this a month ago and it was horrible!After i listened to one song it just crashed! It was one day old, i was very careful, and it took me three hours to download a few songs!Skip protection?Never!It was a waste of $150 dollars!! The unit has a replaceable rechargable battery. Listening to the player while I'm working I'd go through a battery about every two days with the AA or AAA battery players. But Li-Ion batteries have a limited life. With this unit I can replace the battery if it fails after a couple of years instead of dumping the, otherwise good, player. The leather case is much higher quality than I expected. It doesn't need to be removed for any normal function. The only thing you can't do with the case in place is open the battery door. Like a previous reviewer, I noticed the battery door seems flimsy but it is well protected by the case and most people will never open it again after they initially install the battery. The only minor drawback to the case is that it pretty much doubles the thickness of the unit. The player is exactly the same size as a business card. I slipped one of my cards into the case behind the player for identification in case it ever gets "lost." Without the headphones plugged in the cased player looks like a classy business card case. It carries well in a front shirt pocket and is small and solid enough to carry in a front pants pocket. Microdrives are great for capacity but, being mechanical spinning disks, have very little shock resistance. A drop to even a carpeted floor is often fatal. Flash memory, being electronic, does a lot better but is limited in size. Don't expect to carry your entire music library around with you. The earbuds are as good as most earbuds but if you're going to listen to the unit a lot you're going to want to get a headset. Overall, for the price, the MuVo Slim is a hard unit to beat! Didn't work when I got it. The files sytem is fine so can be used as an expensive flash memory. The lithium battery is changed so it is not the battery. Needed player for trip so got another one without a quality control problem. This MuVo goes on the bone pile. 2) Included Rechargeable Lithium Battery - which recharges off the USB port on your computer (3 hours for first charge, roughly 1/2 that for recharging completely afterwards). PROS: Compared to any mp3 player you could find at your local Best Buy, or other store, this product blows them out of the water - and for much less. CONS: The FM reception is not long-range, don't expect to pull in a FM station 45-50 miles away -its best suited for urban 30 mile range. You will need to buy a seperate charger if you will need to charge the unit away from a computer ($19-29). With many thanks to Book Fan for his very helpful review, I went ahead and purchased this very versatile AM/FM radio recorder/MP3 player from Pogo. I must say, I am very happy that I did. I would have given the radio a five star rating, but due to a few minor but fixable bugs in the firmware, as well as the cryptically written user's manual, I could not. Hopefully Pogo will take the hint from these reviews and strive to propel this amazing little device into Five-stardom territory. First, I should tell you that I'm a high tech gadget guy (degree in computer science, etc. ), and love devices like this. On the other hand, my wife is very gadget/tech-toy shy, and is very reluctant to change her ways, once she finds something that works well for her. Even so, after I sat down with the sorry excuse of a manual, the Pogo radio, and a cup of coffee, I studied and familiarized myself completely with the radio's operation. I then transferred my understanding of the radio's basic operation to my wife. To my surprise and delight, she quickly threw away her cassette players, recorders and tapes, and went out on her daily walks with only this very handy, lightweight radio. I purchased the Pogo radio with 256MB internal memory and a separate 1GB SD memory card, since my wife records many hours of an AM radio show every late night/early morning. And because the radio's USB/PC interface doesn't enable direct access to the radio's external memory card, I also had to purchase a USB to SD card adapter to upload the resulting MP3 recordings to my PC's hard drive. I should not have had to make this purchase, and believe the ability to upload from the radio's external memory card should be considered an item for a future firmware bug fix by Pogo's programmers. Another bug fix that Pogo should consider for this potentially excellent device should be to simplify the resulting filename for the recorded MP3s. As Book Fan stated, After the shows are recorded from the radio, they wind up in the "Voice" mode file list with their titles looking like very long, scrolling, binary bytes of data, instead of something looking like English. It should be a very simple matter to modify the title format into one with the month/date/day shown more intelligibly for the novice user. The AM and FM reception of this unit is surprisingly good in our location, even better than the much larger radio we were using to record to my wife's cassette tapes. This is quite a pleasant surprise for us, since we can now have much more room available on our hutch shelves, with us now only needing this one very small device rather than a large cassette tape recorder and large AM/FM radio. The AM/FM to MP3 recordings are very clear, even with the voice sampling rate at the lowest setting. This low sample rate sampling also increases the number of 4 hour shows that we can record in a row without having to erase or upload them to the PC for storing, burning onto CD or e-mailing (as long as it's done legally, of course). The unit is so light (unlike the iPOD) that you can easily carry it hung about your neck with the included lanyard, or in your shirt pocket. You'll hardly notice it's there, except for the high quality sound that will be playing in your ears from the very high quality ear buds that come with the unit. Do yourself a favor and go ahead with this purchase. My wife and I are happy we did, as it has liberated us from making any more purchases of messy space-occupying cassette tapes and recorders. She really loves it, and we believe you will too! I've been very happy with the capabilities and performance of this radio recorder, and I would give it 5 stars if the interface (and manual) were better.This product occupies a unique niche, at this time of writing, it is the only stand-alone (non-computer) solution to timeshifting radio that I could discover.Finally I can listen to Ira Glass and Terry Gross and Neal Conan and Science Friday and Elvis Mitchell (public radio geek shows), even though I'm busy when they're on. 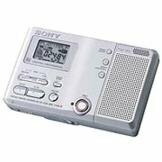 It is basically like a VCR for radio, allowing you to timeshift radio shows that you want to listen too later, saving them as MP3 files, with a choice of kbps.You can record onto internal memory, or onto removable flash memory so it is easy to move things recorded to other computers. (There is also a USB interface, but that gives access only to the internal memory). Oh, it is a perfectly respectible MP3 player also. The sound quality seems good at the higher sampling rates e.g. 256kbps (if there is a good signal).Some of my stations have poor signals where I live, so I record non-musical shows at a lower rate and use the hi-cut equalizer setting to reduce the hiss and static to listen. But this little box has a few other tricks up its sleeve.You can play back at different speeds, 0.5x, 0.7x, 1.3x and 1.5x.I regularly use 1.3x to listen to spoken PBS shows a little faster than real time.And the 0.7x is good for slowing down someone who is hard to understand. (Fun to do this also with music. )You can fast forward over ads, you get to hear little bursts of sound as it passes over and when the sound quality changes you know you're back to the show. Also, it will take mic or line in and save it as an MP3 file.This allows you to, say, use the headphone jack of your tv and timeshift the audio of shows you want to listen to later. The box itself is about the size of a deck of cards, and is pretty lightweight (feels like it contains air), so it is easy to carry it around and use it as a portable source of music and spoken radio.It weighs much less than my iPod. The interface is crusty, the buttons are numerous and do different things depending on what mode you are in.It is too complex to play with while driving (I pull over to adjust playback).It is also a mystery sometimes under which folder a recording is going to appear, and it doesn't match what the manual says.The file names are long number salads - you can figure out what part of the names are the date, which are the time, etc., but they are hard to read, especially since when you select a filename, it becomes so long that it doesn't fit on the screen and then starts scrolling.The filenames and folder names should be better done. The manual is like reading a parts list with descriptions (gently translated from Korean); with few exceptions everything is there, but it is not well organized or cogent.I had to go back and forth through the manual and glean new info each time (I'm a computer person well accustomed to lots of complex interfaces).It could really use a "getting started" section. In its bid to make the iPod the handiest device on the planet (right up there with the Swiss Army knife), Griffin created the iTalk voice recorder, a combination microphone/speaker that attaches to your iPod's headphone and remote outputs. Griffin suggests using the iTalk for any number of tasks, from recording personal memos and interviews to archiving class lectures to listening to an audiobook on the speaker without wearing your headphones. And because the iPod offers such a large storage capacity, iTalk users can literally record thousands of hours of voice audio without running out of memory, making the device far more convenient than a portable cassette recorder. Griffin has been designing Apple accessories since 1992, so it's no stranger to the sleek styling encouraged by Steve Jobs and crew. And the iTalk--with its smooth, white housing and slick, silver-colored speaker--fits in perfectly. It also pays tribute to the Apple ethos by requiring no setup: just plug it in and start recording (the recording functions appear automatically on the iPod screen). Once the device is connected, a user relies on the click wheel to record, pause, play, save, and delete files. The iPod then stores the files in a Voice Memos folder within the Extras menu. Each time you sync your iPod to iTunes, the files transfer into an iTunes playlist also called Voice Memos, where you can listen to them on your computer or transfer them to other multimedia programs (they're saved as WAV files). The iTalk includes a couple of features that help it stand out above competitors' products. The first is an automatic gain control, which instinctively adjusts the signal level to achieve the best possible recording. The second is a multifunction pass-through jack located on top of the unit. This lets users plug their headphones directly into the iTalk rather than removing the device to access the iPod's headphone output. Users can also connect an external microphone to the iTalk to enjoy additional recording options. In addition, the iTalk archives the date and time of the recording--a plus for people working on date-specific material. 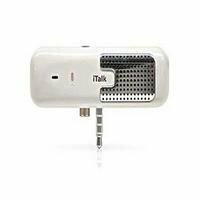 At its best, the iTalk performs solidly. The recordings are clear and easy to decipher, and the microphone picks up sounds from all over the room. We tested the iTalk's microphone at distances of a few inches, a foot, 5 feet, and 20 feet, and each time it performed admirably. It also picks up TV speakers and some ambient noise, depending on the situation. Playback quality is mixed, however. It's decent through the built-in speaker when played at high volumes (the sound can be somewhat scratchy), but very good through the headphones. Anybody using the iPod to transcribe recordings should definitely use the latter, as the audio is much crisper. Unfortunately, the iTalk isn't always at its best. For unknown reasons, it often fails to play recordings it just made through the built-in speaker. The files play for a few seconds, and then the menu inexplicably returns to the recording screen. Occasionally, you can play the file by trying again, but other times the file stubbornly refuses to open. The same files often played just fine through the headphones, indicating that the problem originates in the speaker rather than the microphone. However, anyone using the iTalk for important recording tasks--something more than archiving grocery lists, say--should test the iTalk thoroughly to verify that the files are recording properly. Users should also be aware that the iTalk doesn't actually start recording until three or four seconds after the light turns on, which is somewhat aggravating at first, although you adjust quickly. The problems with the built-in speaker extended to other forms of playback as well. Griffin touted the iTalk as a great way to listen to audiobooks without headphones, but it refused to play Jon Stewart's America (the Audiobook). Many users have complained that the iTalk often locks up their iPods, especially if the iTalk is installed when the iPod turns on. We suffered through a single lockup, which required a quick reset, but didn't experience the problems described by other users. It's possible that the latest iPod software updates have resolved the freezing issues, but the glitch appears at least common enough to mention. I bought this item yesterday. I needed something to record telephone conferences, meetings, interviews, things like that for my job, something that could record in digital form and where the recording could easily be transferred to a conventional home or office computer. 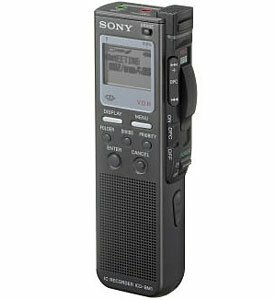 I considered buying one of the expensive Sony voice recorders, the ones costing $90-$150, which generally seem to be of good quality. But I was intrigued by the idea of spending less than $50 to get something I could attach to my iPod (recently purchased).My only concern was that online reviews of iTalk and the Belkin device that competes with it are generally quite poor. I've already used the iTalk to record an hour-long teleconference with a client. It is just about perfect -- just what I was looking for and at a bargain price.The built-in speaker is highly inadequate -- you really have to use headphones with this thing to hear playback, but I don't see that as a big deal. Recording quality seems at least as good as what I've seen with Sony voice recorders. I suspect that many of the people giving this product a bad review are expecting too much out of the built-in speaker. The iTalk recorder makes very adequate voice recordings on my 3G 40 Gig iPod. I've had no problems with freezing (or any performance issues). Before using iTalk, I read all of the reviews, and following the helpful suggestions from other users, I've had good recordings from the first. What's terrific about iTalk is that you can organize your recordings in iTunes. As another user mentioned, you can create playlists of related recordings that can later be burned to CD-Rom. Two drawbacks for me are the volume level of iTalk's speaker, which I find too low for adequate playback even at top volume on my iPod, and the lack of a carrying case to protect and identify the iTalk in my purse. Would I buy again? Absolutely. Would I recommend? Without reservation. I purchased the iTalk to record my shows so I could send them on the internet, but I had alot of problems with my iPod that were all started by the purchase of my iTalk. Suddenly music wasn't fully playing, I had to restore my iPod to factory settings and import my music multiple times before I got it working again, when I finally got everything working, I used my iTalk to record a show and as soon as I got home and plugged it in, the troubles started again: my iTunes wouldn't read my iPod, I couldn't get anything to work, iTunes would freeze, all sorts of things, and worst of all I couldn't copy my show onto my computer when activated as a disk. Though I have a sneaking suspesion that the problems are also on account that my iPod is over a year old, none of the problems began until I recieved my iTalk. After much aggravation, I sat down to listen to my show and it turned out that my iTalk, though it sat through my entire show (6 minutes), after 3 minutes the iTalk just stop recording sound. There are many bugs to be fixed by Griffin before this product is markable. I reccomend, if you really need to record something, just get a regular mini-tape player, it will save you alot of aggravation, or if you really need it in digital format, go ahead and get a digital one for a few hundred dollars, because in the end, you really do get what you paid for; $30 is too good to be true. Get the Belkin mic, which is much better.The microphone on this one is low-level, playback is buzzed-out, awful.And if you use the jack--which is why I bought it, so I could record my phone interviews for my journalism work--it's even worse.I give it one star for the *idea* of having a mic jack in the first place--to my knowledge, this item is the only one to have it. i bought this for the primary purpose of recording history lectures during which i often fall asleep. so far, the iTalk voice recorder has had its good days and bad days. on the good days, it works just fine, not producing professional-quality recordings but good for its price. on the bad days, however, i end up missing either a big part or the entirety of the lecture. i haven't experienced lock-ups or inability to playback through the speakers, but what it would do sometimes is that it would start recording like normal, but when i check a few minutes later, the battery indicator will show up empty (although it's still running) and the timer will be set at 0, while the LED is still on and the "recording" message still flashes. and nothing is recorded at all. i don't know what i can possibly do to prevent this, except maybe test it immediately before recording for real, and be on the look-out while it's working (watching it won't help if it stops abruptly, but i want to see what happens when it stops). The main reason I purchased the recorder is so that I could tape my professor's lectures. In fact, it worked like a charm in my Biology class this past semester. At first I didn't think the recorder would be ideal because the playback on the recorder is hard to hear. However, when I downloaded the files to my computer, the sound quality was awesome. I credit this recorder to helping me receive an A in Biology because without the precise recordings, I would have never been able to remember and write down all of the details discussed during the class. I'm also using the recorder to dictate a book I'm co-writing with my husband and found that this recorder works like a charm. For instance, the software works similar to a Dictaphone transcription machine because when you press the F4 key it stops playing and to restart the recorder, you simply press the F4 key again. To see a listing of the shortcut keys, simply click Tools, Function Key Settings (located on the menu bar). Additionally, you can set up the auto back space to rewind up to five seconds every time you stop the recorder. Simply click Tools, Set Auto Back Space, and then choose the number of seconds you want the recorder to rewind each time you stop the recorder. My husband and I are going to go out and buy another recorder for him so that he can use it to dictate his portion of the book that we are co-writing. This recorder is a great purchase. You won't regret the purchase. My employment in the legal field often requires recording of conversations and interviews.The interviews become evidentiary in nature. I promptly went out and bought another as a replacement. All in all, it is a great product.I have had problems with other brands that just do not appear with this recorder!! I've read some of the reviews about the recorder being able to record lectures really well, even from far away, but I've found that this recorder will pick up more of the surrounding noise than the lecture if you're more than 6-10ft away from the person speaking. I really love the fact that you can store and listen to recordings on your computer. It definitely saves money and space from regular tape recorders. The battery life I've found last maybe around 2 weeks. Like maybe 6-8hrs each week if you turn it off and on. I bought Rayovac's 15min rechargable batteries for the recorder. It records about 2hrs and 30mins? on SP speed and about 5 hrs or so on LP. I prefer the SP speed because the quality of the sound is better on playback, but I've had to download the files on the recorder more frequently. This recorder is best if you have only 2 classes a day that run about an hour each, or maybe even 3 classes if you want to record at LP speed. Overall it's a great recorder. The drivers should be available from the web.Thanks for letting me know I'm not the only one who had trouble.What a time waster this has been today.I'm better off buying a new one - and not from Olympus ever again. Today, a Olympus tech support told me the base software is "usually there but we're revising our web site. "Well, Andrzej could not find it about 10 days ago.So it does not seem to be a temporary glich - but a long term oversight by Olympus. If you buy this, you will have to carry the CD wherever you may go and want to use your DVR because the sofware isn't on the web. 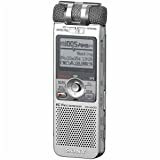 We bought DS330 to record interviews for our radio program. While the recorder workes reasonably well, I've run into big problems trying to copy the data onto PC. I was filling in for our regular technician. I was given the recorder with a cable and craddle and expected it to work with the computer. No such luck. The driver for the recorder control wasn't recognized. I searched the Internet, but the Olympus Web site has only updates that require the original software to be installed. But the original CD was misplaced and I don't have it! 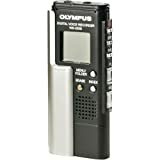 I read the reviews on Amazon and checked out the Olympus and other recorders...nothing touches this one for usability.Therein lies some of the problem.I'm a techie and still can'tuse it in the dark when driving. As a master's student, it has proved invaluable in lecture.On the (CONF-Hi) setting, it easily picks up even the whiniest professor's voice at a 15 foot range.The main reason I purchased the ICD-BM1 was it's 5 Dragon award from Dragon Natually Speaking(DNS).I use DNS v7.3 and have found it trained easily and has around 95% accuracy (down a few points from another reviewer) probably because I impatiently read the 1 hr training script in 40 minutes. It's very small and extremely light.The case has two velcro'd places for additional memory sticks.However, since it can use 128mb (not pro)I rarely swap sticks.I use the 128 for class related info and the others for personal life - maybe that's why I rarely swap - I have no personal life.One more thing, it's fabulous with DNS for dictating emails while driving.This allows emailing to family friends that would otherwise not hear from me as often.Great product!!!! When first setting up the unit I found the battery door was very difficult to get open - but dismissed it figuring how often would I be replacing batteries? It turns out the door has now become unstable and sits in a slightly open position, popping open at will. When the batteries come out unnoticed, I have to reset the date/time etc. After contacting Sony I learned that IF they determine it is a manufacturing defect versus user abuse, they will exchange the unit. The problem is... the unit received in exchange will not be new, rather it will be used (refurbished). A warranty should repair or replace with a new unit - especially manufacturing defects. I'm disappointed in Sony. Rather than do without the unit only to receive a used unit, I've decided to tape the door shut. Started to order this item at the listed price of $299. On checkout the price was $320 - plus $22 more for handling and shipping. I returned the Sony ICB BM1 due to the loud audible "click" it inserts into the recording whenever it is paused. Sony tech support said that it was a characteristic of all BM1's, not just the unit I had. Then I find that the Sony Voice Editor software is incompatible with my Windows XP Media Center pc, and the more current Voice Editor software which came with the BM1 does a "dirty" uninstall (leaves it's own dll files in the windows\system folder rather than the Windows dll files it replaced). This caused my Sony ICD MS515 Voice Editor software (an earlier version) not to work. After a week back and forth with Sony tech support, their conclusion is that ALL Sony Voice Editor software is incompatible with Windows XP Media Center pc's, and I was just out of luck that my older Sony ICD MS515 Voice Editor (and the recorder) wouldn't work now after working fine for seven months. I'll never by Sony again, and am waiting for the new Olympus DS-2200. I checked around several places before I made my BM-1 purchase. First of all, these puppies were hard to find anywhere much less get anyone on the phone who could tell me very much about the product.I found what I was looking for at voicerecognition.com where I was able to speak to someone who could explain in more detail to me how the Sony BM 1 would work with Dragon NaturallySpeaking Pro which I also own. The accuracy with the recorder is about 98% which I'm very pleased with. The slide switch is great because all the main functions are in one place. I've had this unit for approximately 5 months, during which time it has been almost continuously strapped to my belt. The unit is finished very well, with a brushed aluminum case and a belt case that allows quick removal of the recorder, and also for storage of spare Memory Sticks in 2 pouches on the side. If you own other Sony devices, this one uses the same USB trransfer cable, and also of course takes the Memory Stick cards which are proprietary to the Sony brand. The software was simple to install and operate, though I was a little disappointed that unlike the cheaper Sony ICD-MS515, this unitl is not shipped with the Dragon Naturally Speaking software. The Sony codec is not installed to the PC for encoding, only decoding. The internal mic has adjustable sensitivity, but I use it mainly on the conference microphone setting rather than the dictation, because I rarely use it for the latter. The intermal mic provides very adequate audio quality, picking up speech from 10-15 feet away without excessive noise, though I'm sure an external would be even better. The built in speaker is barely adequate! However, when compares to that MS515, the operation of the unit itself is much simpler. Those of you that hate software menus and prefer solid switches and buttons will love this unit. Although there is a configuration menu, most operations are accomplished with the use of high quality switches. For example, the main toggle allows the user to switch between record, stop and play effortlessly, and inserting or adding to an existing recording is easily done. In fact, I would say that it's designed to operate like the earlier generation tape devices, but without the limitations of that medium - easy. The quality of sound from this equipment is far in excess of what will normally be required. the High quality setting operates at a sampling rate of 44kHz, similar to CD quality, and when played back on a PC with good qualityh speakers, it shows. The medium quality is more than adequate for most purposes, and will provide you up to approx 20 hours of recording on a 128MB memory stick - more than adequate for me. I don't even bother using the lowest quality setting, although it's adequate for most purposes and substantially free from artefacts, as are the other modes. I use NiMH batteries rather than disposable alkaline, my small contribution to the planet, and I do find that the batteries will last for about 4 hours of recording, whereas high performance alkalines would last much, muich longer. the main power switch can tend to be knocked on or off in the carry case, which can be annoying, but actually, it uses very little power unless in an active mode such as recording or playback, so I don't see that as a fatal flaw. Inserting and removing the Memory Stick is a snap, there being a solid click when the card is properly positioned, and the display confirms that the card is being read, and how much space (relatively) remains. The display is easy to read, and can be configured to tell you different information about such as time remaining on card, time spent on this track, volume levels (VU meters) etc. easily be pressing the display button. All in all, although I have had the opportunity to trade this unit for another, I declined to do so. It's worth mentioning also that this recorder is sufficiently advanced to be used even for legal recording and transcription (IMO) with the optional paddle equipment. -Unlimited recording size. The recorder uses a built in 32 MB FLASH as well as removable MEMORY STICKS(up to 1 GB). The stick format however is PRO-DUO. -Excellent recording quality, comparable to the one found in $500 to $1000 recorders. -The built in speaker sounds well, and (with Voice Up activated) distortionless and very loud. -Excellent software (and WMP plug-in available) can convert Sony formats to wav (but the mix of compression and conversion can result in unpredictable quality files). 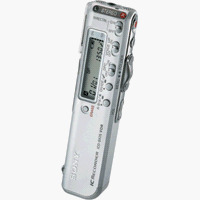 Conversely, the recorder plays mp3 and wav (by first converting automatically to Sony format via software). -Voice Up feature is amazing. -3 Volts AC/DC adapter input jack (adapter not included) . BOTTOM LINE:I got one and use it successfully for very important live recordings. By far the best in this area. However for direct encoding high quality music, I use my iAudio i5 (2 GB). DITTO. 3 Recording Modes Use HQ mode for superior sound, LP and SP modes for extended recording. 4 Folders Three file folders plus a convenient schedule folder provide unparalleled organization. Long Battery Life Two AAA batteries are good for up to 33 hours of continuous operation. PC LinkDownload your recordings to your PC. to edit, e-mail,or archive. Four-Hour Recording Record up to 4 uninterrupted hours in LP mode. I've had one for about 6 months and I love it!Good controls.The ability to download recording into my PC in just great.I use it without ever having to look at the controls.It's a bargain. If using Macs don't be doooped! First off the bad. I got dooped by some sales clerk at a local electronics store who told me this device was both Windows and Macintosh compatible. NOT TRUE! I felt deceived at first until I went to Olympus' website and pulled up the product info. Under software downloads it does in fact list a Mac OSX app to use with this device. Must be a webbo (typo) because after 3 days of fiddling with this gremlin I happened upon the specs sheet, which clearly shows it is not compatible with Macs. After 4 emails and 2 weeks I've rec'd no reply from the Olympus Tech support. Tech support is crucial - imagine owning a house and never being able to get a hold of a plumber, roofer, or electrician. That's what bad tech support is like. Anyway that knocked mystar rating down 3 points to a 2. Aside from all the bad this a a cool and user friendly device and I've just been plugging the audio out (earphone) into my USB audio recorder and getting it to my Mac that way. It's a real pain in my toe but for the price it works. Still experimenting with the quality but set on low quality and placing the recorder on the table in front of me at a coffee house does not give a very good recording. Anyway this is a keeper for the price and doesn't get tossed in the kibble. 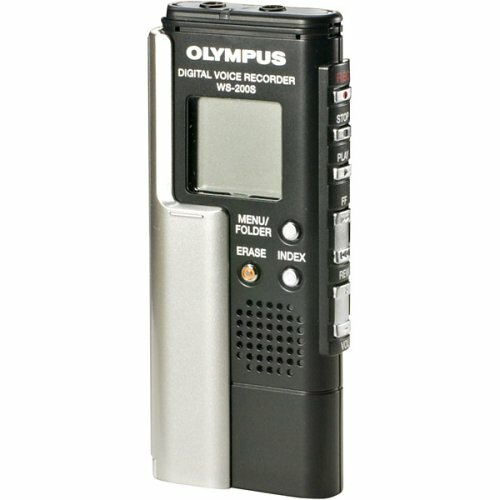 We just received this Olympus Digital PC Voice Recorder (VN-240) in the mail yesterday, but so far we just love it!! !It has very nice features for such a great price -- (1) very compact & lightweight, (2) EXCELLENT sound quality (headphones included), (3) records each recording into separate files with a date/time stamp, (4) allows you to schedule future reminders, and (5) has the PC link to save all of your treasured (baby/kids) and/or important (school/business) recordings.Bottom line, this is a TERRIFIC product @ a TERRIFIC price!!!!! I bought this recorder a couple of months ago, hoping to record some classes and lectures that are too good to hear just once.It's amazing that the classes sound even better on my PC than when I'm there!I absolutely loved it! I usually place my recorder 5 to 10 feet from the professor, and the sound is perfect even when he walks around and goes further than that.It does not catch much noise from my colleagues, chatting in class but, surprisingly, records efficiently every question or comment! I could not be more pleased with the quality of the sound, but now that I've used and loved it so much, I wish I had spent twice the money and gotten the Olympus recorder with twice the memory (DM-10)! There's no backlight on the LCD on this model (SX25) so you can't see the display in the dark or low level lighting (the ST25 had a nice green one). Handling noise is much higher on this model, so unless you're very steady-handed, go with an external mic to keep the noise from cancelling out your recorded material (don't bother trying to record from your pocket, or while it's in the velvet carry pouch).Sensitivity has been boosted for 1-4 ft. recording, so that's where the trade-off occurred.But the internal condenser mics (stereo) are not isolated from the unit's case, so every contact with the case results in noise. Everything you liked (or hated) about the ST25 is back in the new model, but this one's skinnier by a 1/4-inch, and the display has been changed to be wider but shorter - same displays.New STLP mode is like a ST (high quality mode) file but with less resolution, so you can pack a third more time in the non-expandable 32MB memory (still about 7 hours on SP, 15 hours on LP, 2.5 hrs on ST, say 4 hours on STLP). Don't expect to try to digitally record music on this unit because you cannot disable the automatic gain function (it's really designed for recording speeches or other presentation material, not recording concerts).In a pinch, I have used it to capture the audio line-out of a DVD, but it's not good with wide volume changes since it tries to equalize everything to an overall acceptable volume. I like/dislike the 4-way toggle button RW<- v ^ ->FF idea - it gets rid of one extra 2-way button, but it gets confusing if you were trying to manipulate it without looking at the display.On the other hand, if the settings are the way I want them, I don't usually have to touch that button.You just hit the Record to start, and again to pause recording (Stop saves and lets Record create a separate file).It's good at splitting and combining, and the USB port lets the proprietary software manipulate the sound files for general management (but very limited editing). Battery life is the same as the ST25 - about 16 hrs. per set of 2 AAA's.I miss the swivel microphone mount because I often used the ST25 sitting on the floor and pointed the mics upward, or in a shirt pocket pointed away from me. The major weak point is the file transfer soft.Voice Studio recently replaced by Voice Editor is a strange software.One has to stay within the program to transfer files to and from the recorder but also between storage devices.Using simple microsoft copy/pasting of files ruins the whole storage system and audio files become unreadable.So one has to make virtual disk-structures to copy onto backup storage devices.The advantage though is that within the Software one can do a lot with the audio file and if the data is sensitive, a common thief cannot do much with a lost/stolen storage diskette since they will need the panasonic software to listen to the content. However manipulating the files within the software is easy and has some neat functions if one has to transcribe interviews: dividing of long recordings (so that they become more easy to transcribe or organise in subject classes), gluing two files together, flags in the files etc.Conversion to WAV is possible so one can copy the recordings to CD and play the interviews again on a walkman device. For non-professionals I find the transmission of audio files to friends via e-mail very awkward: one has to send an replay-exe with the audio files which is a bugger now that everybody has a firewall. The microphone is too sensitive...I use this recorder to get class lectures, but so much background noise (and conversations) are picked up I can hardly hear the lecture.The software for the program is great, as long as you only want to use their sound file format.You can convert to .wav, but the sound quality it dramatically reduced (and background noise amplified).It's also impossible to share your sound files with another person...or it might be, but I've been unable to find a way to save the recordings to cd.If you plan to use this for minimal use in a disciplined environment, than this might be the one for you.Otherwise you might want to shop around some more. I bought this recorder for the purpose of recording meetings.The recordings needed to be transfered to my computer.All in all, it's a wonderful product.The reason for the bad review is in the difficulty (nigh unto impossible) of retreiving your recordings if you should happen to lose the CD that comes with the recorder.Panasonic's tech support is horrible at best.There is appearantly no way to replace the needed software or drivers via mail or download.The best solution I was given from Panasonic's technical support was to "buy another one, copy the CD and return it. "Aside from the dubious legalities of that suggestion, I recommend not supporting a company that doesn't support their products. Practically everything I own is Panasonic - rice maker, home entertainment system, vaccum cleaner, clock radios. I have three of their older voice recorders and this RR360. The device is great. What isn't great is their software. It's hideous. It's worse than hideous, it's the worst commercial software I've seen in a long time. It's the only package I know of that consistently bluescreens Windows 2000 Pro. I'd love to update it to the latest version and see if that helps, but when I use the VoiceStudio Help -> Update menu it stupidly tells me that VoiceStudio is not installed on my computer. They do not offer the software for download separately, you can supposedly only upgrade it through their menu. All attempts to contact Panasonic tech support are fruitless. The recorder uses a proprietary format and they don't release specs so you can't use it with Linux, older Windows versions or future Windows versions - just the ones out now. Right now I've got a rather important 2 hour meeting stored on it that I can't upload because every time I try it bluescreens the two computers I've got their software installed on. I'm going to have to capture the analog audio as a .wav file. I'm a huge Panasonic fan, but don't buy this one because they won't let you get to your own data and they won't respond to requests for tech support on it. Voice recording in HQ mode is very clear, but any extraneous sounds (such as page flipping, chair moving, etc. ) even 10 feet away gets recorded louder than your voice. Panasonic uses its own proprietary format to record voice. 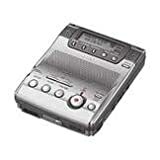 If you need to save the recordings on your computer, you can only use its supplied Voice Studio software, and it only converts the recording into wav format.You then need to convert again into mp3 or wma.Likewise, to play your audio recordings from other sources, you must first convert them into wav format in order to download into this Panasonic 360.It accepts download in wav format only.So, if you need to play your files in mp3 or wma format in other devices, you would spend a lot of time converting them from and into wav format.Besides, the software for conversion into mp3 or wma are not supplied. I'm a professional broadcaster, having used MD since the early 1990's, and our organization uses these for newsgathering.The main flaws of the MZ-B100 as noted elsewhere are lack of lighted LCD, and extremely slow RR/FF and other actions, due to the single AA power supply and other issues.But another drawback is that, after extensive use, and with some units this develops earlier, it starts adding phantom tracks without pressing the track button.This is bothersome when you're trying to keep a record of what is where.I hope SONY comes out with an upgrade, but doubt they will, because they already have the slightly cheaper MZ-B10 and other digital recorder options. This is a great unit- I bought a sony mini disc player 6 years agowhich just started to give problems (having dropped it many times)so i had to get a new one. ThisB100 as a great replacement. It is so convenient to have the ability to record and play-back all on one unit-no cords. This makes it impossible to read even in dimmly lit environments and obviously an oversight on sony's part. ...As a journalist of 25 years experience, I have tried just about every cassette/microcassette/solid-state handheld field recorder out there. Too well do I know the hearbreak of getting back from a day of great interviews to find nothing but a hiss, or hum, or worst of all, a mumble that you cannot quite make out. This recorder solves all of those problems. It is very easy to see that it is recording -- a red light flashes -- which is reassuring while the interview is in progress. It can record for five hours, more than enough for the average reporting day. The media is removable, which means you can tuck the minidisc in a folder and transcribe it later (not possible with the new batch of solid-state microchip recorders). Battery life is fabulous, advertised at 45 hours and I believe it, the battery never seems to give up. It has a nice variable-speed playback feature, so you can run it at 80 percent speed and thus keep up while transcribing. Only minor quibble is that the review feature has a delay...if you want to back up a few seconds to catch a missed word, you have to wait about five seconds for the backing up to begin. Anyway, this thing is not cheap, but if it salvages one interview that would otherwise be lost, it will be more than worth it to the working journalist. I use it for print, but I understand that minidisc is becoming the media of choice for in-the-field radio reporters. I believe it: the sound that comes out of this thing is just plain perfect. I just bought a DS-2200 about 10 days ago and its great for dictation and voice files. This is a long review...but I figure if your like me, spending $289 on a voice recorder is a good chunk of change and you probably want to know a lot before you buy one. The included memory card can be changed like a cassette and has 128 megs. You can buy up to 512meg! xD picture cards are everywhere even at Wal-Mart! I paid $32 for a second Olympus 128 meg but if you're willing to buy a different brand they are cheaper. I use the sp mode and get about 20 hours off the included 128 meg card in 5 file folders. The sound quality for voice in the Standard play mode is more then enough for transcription. The included software is vary nice and allows for reducing noise as well as increasing or decreasing speed without effecting pitch.Vary useful.There is also editing functions and a DSS to Wav converter so you can change the DSS into wav and then from wav to mp3 or whatever. Nice thing about the DSS format is it stores other info about the files such as the time and date they started, time and date they ended. Notes, Author, length of recording and so on. Custom notes can be typed on your computer and feed back into the DS-2200. You can transfer files from the DS-2200 onto your computer and change them and then upload them back into the DS-2200! Nice Features! Copies of the DSS files when transferred back into the program show all the info encoded into the DSS format.And you can change the info through the program such as changing your notes, etc. 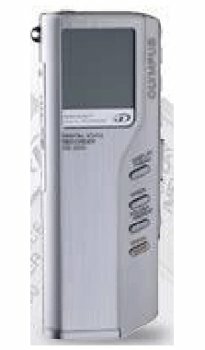 Of course the DS-2200 has Voice activation and it's vary fast so you won't miss a word.It's a vary sturdy unit with an all metal body that's compact and easy to use. I would not recommend this unit for musicians as the fidelity is not up to that standard. 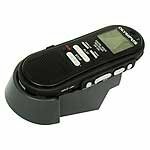 Frequency response is around 300 - 6000which does a great job with voice but not music.I would also not recommend this unit if your planning on making cassettes or CD's and selling them or using them for promotions.This is really a great dictation recorder but not a studio recorder! Emailing voice files in the SP DSS format is vary compact and efficient. For example I created a 3 meg file that is about 30 minutes long. In wav it would be about 30 meg! If you convert to MP3 and make it around 3.2 meg the fidelity is worse then in DSS so DSS is great for voice files.But of course few people have a DSS player so that limits its use again mostly to dictation unless you record in the included WMA format that uses up about twice the space but does sound a bit better. Since I do a lot of dictation (3 to 4 hours per day) I love this thing! If you can live with out the remote mike, case and ability to change memory cards and you only need about 10 hours or less of record time, you might consider the DM-10. It can also transfer files to your computer in DSS and WMA formats and looks vary similar.It has 64meg of built in memory so you can't swipe a bigger card or new card like the DS-2200.The DM-10 is about $130 cheaper. I really like the remote mike, the case and the ability to swipe cards as big as 512K! I clip the remote mike on my shirt and put the unit into vox mode. If I hit record again it throws the unit into pause mode.It's a lot nicer then trying to hold the recorder up close for 2 to 4 hours a day!But the built in mike produces great results as long as you don't mind having to hold the recorder up close while you talk. You can turn off the controls on the remote mike and the recorder independently so you don't accidentally press stop. It even has a nice record level meter, handy to know if you're actually recording sound or not. Olympus clearly spent a great deal of time and money making this recorder user friendly and easy to use.I believe the DM-10 is similar in many respects but I'm really happy I bought the DS2200 instead of the DM-10. Battery life could be better.Prepare to spend some money on AAA bats. But it's easy to load the two fast.The built in speaker is not vary good, so don't expect to use it as your main player for DSS files without using the ear buds which work fine.Your computer will also play them back and they sound great. 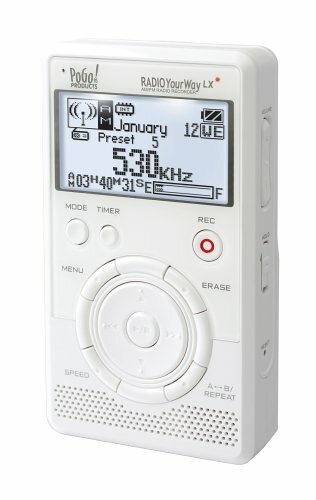 I recommend this unit as a medium to high end dictation recorder for people who want these features and are willing to pay the high price to get them. My only warning is the software that comes has some bugs in it.What I had to do was go to the Olympus site and download there software update.Once you do that the software works great!Until then some of the features don't work...mainly downloading from your computer onto the DS-2200.It also will automatically set the time and date from your computer. Check out the manuals on Amazon if you want more info. 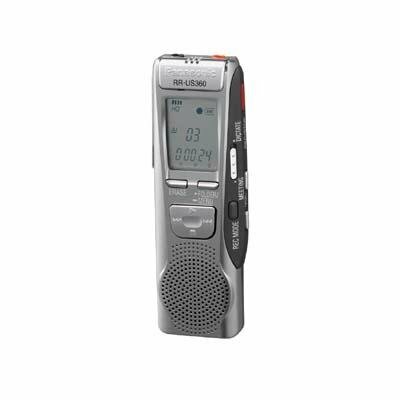 Professional quality sound and high-level functionality are what distinguish the ICD-BMIVTP Digital Voice Recorder. 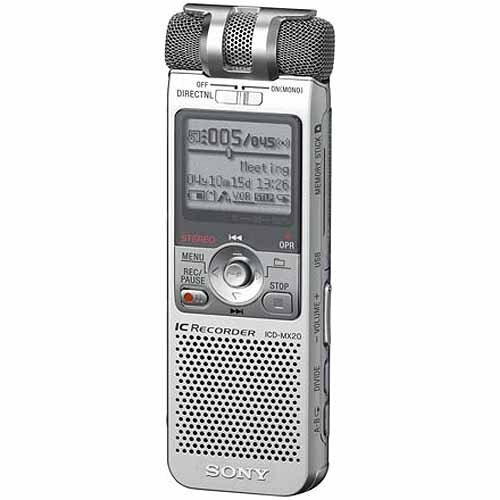 Sony has designed a powerful, sleek recorder with a seamless aluminum body. Whether you're recording grandma for an audio-genealogy or interviewing a famous celebrity, this device makes super-pro recordings and is built to last. It features up to 347 minutes of recording time on the supplied 16 MB memory stick and a maximum sampling rate of 16 kHz. The memory stick is removable so you can replace it with a larger capacity stick, or simply keep an empty stick handy in case you run out of memory. Once you record something through the mic, the sampling rate allows you to transfer the sounds into a digital format. This recorder features new LPEC codec with improved frequency response to deliver the highest quality sound. Transferring recorded sounds to digital format is an excellent, responsible way to preserve important interviews. Plus, it allows you to upload, download, email, and manipulate your recordings digitally on your computer. Sony has equipped this device with several features that will make you feel like you have your own recording assistant. The memory stick offers the ability to organize message folders by type, offering the ultimate in efficiency and versatility. You can store messages in up to 340 folders, helping you keep recordings organized and easily accessible. The advanced digital voice operated recording (VOR) feature actually stops recording during silent pauses, saving valuable recording time and battery power. Then, thanks to the digital buffer, this intelligent machine begins recording again without missing a single syllable. The ICD-BMIVTP also has a full function LCD display, showing the number of recorded messages, recording length, date, time, and a remaining battery power indicator. The ICD-BM1VTP features a slide control switch for quick, responsive recording; a hi/lo mic sensitivity switch for recording in quiet or noisy environments; a built-in microphone and playback speaker; and digital overwrite/cut function for on-the-spot audio editing. 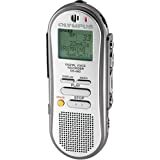 All this functionality is powered by two AAA batteries that should run for up to 10 hours of continuous recording. With the voice email function, you can record spoken email messages and send them later as audio attachments. The included PC download software will help you master this functionality. And with the Dragon Naturally Speaking Preferred Voice-To-Print Software, you can easily convert your recordings into text. Finally, the digital recorder comes equipped with USB connectivity for high speed copying of files to a PC. 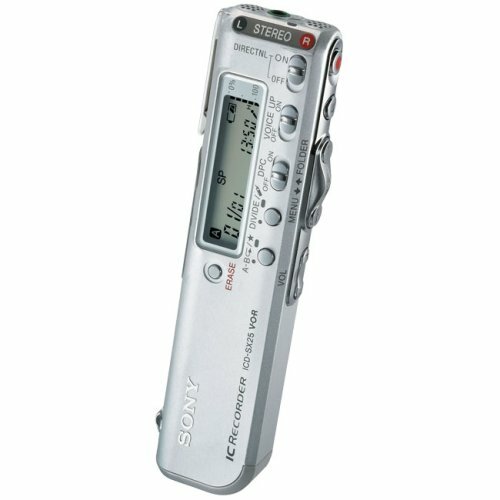 This recorder has good sound quality.However, it comes with version 7 of Dragon Naturally Speaking, instead of version 8, which has been on sale for over a year now.The new version is much more accurate; the old version produces a lot more errors, and correcting them is tedious and time-consuming.I would wait until Sony starts packaging the unit with the current software. Looking at all record formats including solid-state recorders I settled on Sony's MZ-B line of recorders. Since the MZ-B100 I wanted something that could provide me with a cheap removable media solution as well as the flexibility of a digital unit. This recorder uses proven minidisc technology and creates a recorder that is truly unlike no other except its bigger cousin the MZ-b100. It has a built in pitch control (-50% slow and 100% fast) and twin speaker playback, a stereo mic and headphone jack, and a professional quality flat mic. It's great for musicians and with 5 1/2 hour (320min) LP 4 mode great for executives, students, doctors...etc. The sound quality is exceptional even in LP 4 mode. I have a Net md recorder and it plays my prerecorded discs as well. There are few minor negatives I have to bring up. The record mode button on the side can be pressed inadvertently. The pop up record button may lock into record mode one or two seconds into your recording. Otherwise, you can be assured that this unit is top-notch Sony product. If you've never been fortunate enough to own a minidisc device get a net md first (used) and then get one of the MZ-B's I recommend this unit as a voice recorder only since It cannot download music.